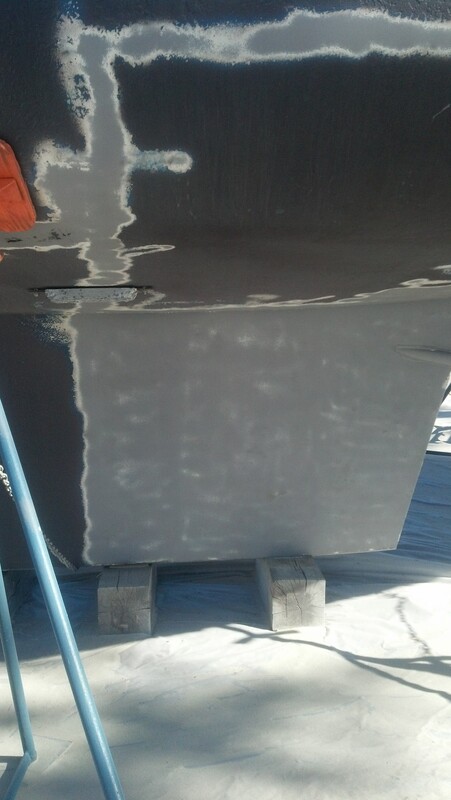 After our abject terror subsided we signed a contract to have the boatyard completely sandblast the bottom of the boat. These pictures were reassuring because the problems seemed to be localized to one area with small issues elsewhere. 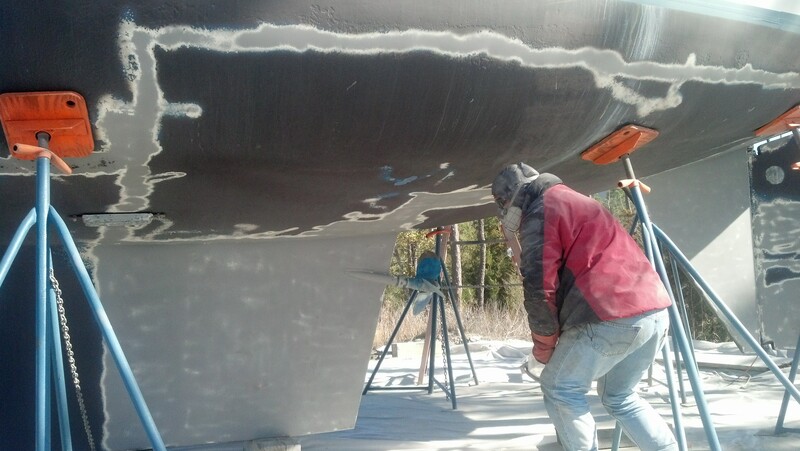 We initially thought the hull was going to be full of holes. As in Swiss Cheese. Unsalvageable is the word that sprang to mind. The epoxy that had been used to fill them flew to pieces. Thanks previous owner, you’re awesome. And, You’re Welcome for all the money we gave you. Water came out. This boat has not been in the water for 8 months. Where would water come from? It wasn’t that bad was it? I’d forgotten about the water!